Going on a first date can fill you with so many different emotions and feelings: nervousness, excitement, awkwardness, confusion, and happiness, just to name a few. All of these feelings are perfectly normal for both women and men. We have all had our fair share of good and bad first dates; some we will always remember, and some we would rather forget! But whether you’re a first-date pro, dating a divorced woman, or on a first-date for the first time in awhile, some pointers can help you feel a little more comfortable. 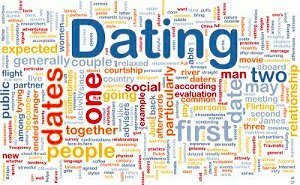 So here is some dating advice for men with a focus on what to do and not to do on a first date. What you do before your date can be just as important as the date itself. In conversations with your date prior to going out (whether through email, phone, or text), it’s best to make her feel as comfortable as possible. Get to know each other, but save some good conversation for the actual date. How Do I Choose Where to Go? When trying to decide on a place to go, ask for her input; however you should both feel good about the final destination. If she is too shy to pick a place or make any suggestions, initiate a conversation about what she likes to do, what kind of food she enjoys, and places she has been before. Then make a decision based on her responses. I’d avoid places that are overly fancy and wouldn’t quite risk bringing her to a hole-in-the-wall either. Something in-between is good. And make sure there is no loud music or chatter—you want to be able to hear her and have good conversation. Do I Pick Her Up or Meet Her There? This is a question people ask a lot before a first date. It’s always nice to offer to give the girl a ride, but at the same time, you probably don’t know her well enough yet to go to her house and pick her up. Again, it’s all about the comfort level of both parties. If you have known her awhile (maybe you were friends first) picking her up might be okay. Otherwise, on the first date, I would stick to meeting each other there. The best piece of dating advice I can give a man is to be chivalrous. Women very much appreciate someone who is polite and old fashioned. It may be a long time since someone has been chivalrous towards her, and her potential surprise and pleasure are worth any effort! Being a gentleman is a great way to impress her, and it’s a part of the date that doesn’t cost anything at all. Hold doors open for her, say please and thank you, tell her she looks nice, make good eye contact, actually LISTEN to what she is saying, and foot the bill when the date is done (more on that in a sec). Most people have to go on several first dates before they find the one that’s right for them. Never go into a first date expecting too much. But on the other hand, you shouldn’t go into it with a bad attitude either. The best way to approach it is as a fun night out with good conversation. You’re getting to know someone new. If it works out, great, if not, there will be more dates to come. To keep things moving along, make sure to keep her engaged. Since you’re really still getting to know each other, a lot of what you talk about will be basic, like where you grew up, how many brothers and sisters you have, what you do for a living, and things like that. Don’t just leave it at that though. Try to come up with some interesting questions she hasn’t heard before. Be interesting and confident, loose and humorous. One common question I get when asked for dating advice for men is how they should leave things off after a first date. First, you should always pay the bill, whether you had a good time or not. (It’s the chivalrous thing to do.) Sometimes women will offer to pay, but usually it’s to be polite. Nicely decline her offer and say you really want to treat. If she insists, let her pay the tip. Walk her to her car (assuming you met there; if you didn’t, walk her to her door) and thank her for a nice evening. If you had a good time and felt a connection don’t be afraid to tell her. A warm hug goodbye is always a nice way to leave things off. In some cases, if there was a real connection, she may give you signals that she would like a kiss goodnight. If that’s the case, and you feel the same way, go for it. Either way, if you had a good time (or at least feel there is some potential for more) make sure to try for a second date. Remember that women are nervous on first dates too, so even if she seemed a bit quiet or shy you may want to give it one more chance. Remember, it all depends on what feels right for you. In conclusion, a first date should be fun and laid back. You’re getting to know someone new. Be polite and old fashioned. Treat your date well. Carry on good conversation. Pay the bill, and hope for a second date. If you do get a second date things will be a little bit different. As always, I’m available to help you find your true love and build a relationship that lasts. Here is my personal online scheduler to get your 30 minute free strategy session. Let’s get started today!